Quite new lodge of European Beaver Castor fiber. Belarus, May 2018. A dead tree adorned with bracket fungi and the foraging holes of Black Woodpecker Dryocopus martius. Zemplén Hills, Hungary, May 2017. Long-eared Owl (Asio otus), Hungary, March 2017. Droppings and pellets on top of a shed under a communal winter roost tree with 12+ birds. Nests of Red-billed Buffalo-Weaver (Bubalornis niger). Kruger NP, South Africa, Feb 2017. Image by Gerard Gorman. Tracks of Hooded Crow (Corvus cornix) in fresh snow. Budapest, Hungary, January 2017 (Gerard Gorman). 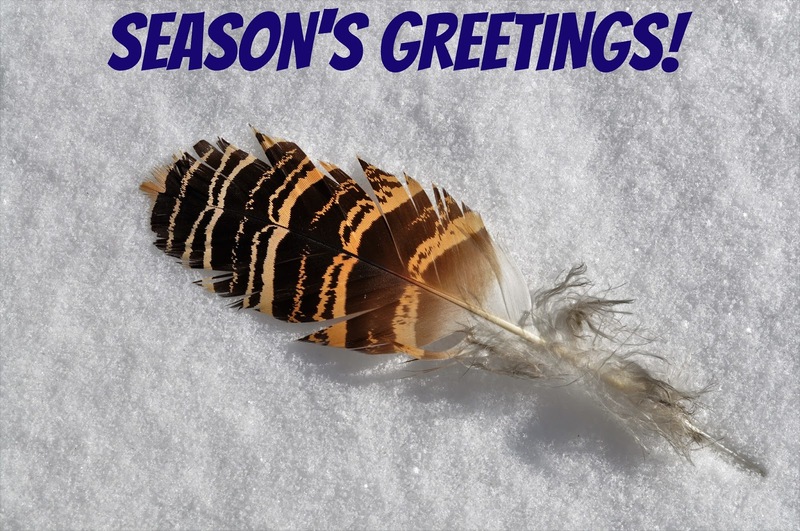 .. whether you celebrate Christmas or not! 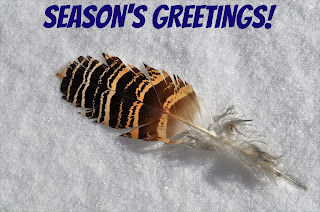 A Great Bustard (Otis tarda) feather in snow, from the Kiskunság, Hungary (Gerard Gorman). An old nest of a (Common) Blackbird (Turdus merula), Budapest, Hungary, December 2016. It was about 1.70m above ground in a willow tree. Gerard Gorman. Empty shell of a European Pond Terrapin Emys orbicularis. It was unclear what happened to the actual turtle, the shell was some metres from water and there was no sign of any body remains. Kiskunság, Hungary. Gerard Gorman. Footprints of Great Bustard Otis tarda in mud. Apaj, Kiskunság, Hungary. Gerard Gorman. Old tree stump hacked open in typical fashion by Black Woodpecker Dryocopus martius. Note the oval hole (this one 12cm high and 5cm wide) and large woodchips (some 6cm long), scattered around. 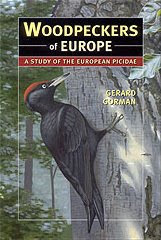 In Europe this kind of work is only done by Black Woodpecker, the largest woodpecker on the continent. Zempén Hills, Hungary, Gerard Gorman. 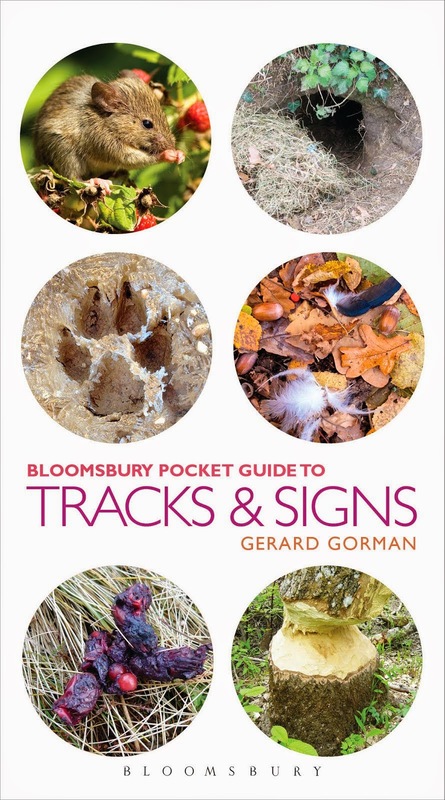 Gerard Gorman is author of this book, published in 2008 by Bradt. 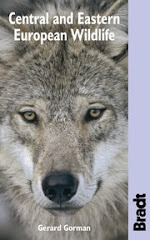 It has sections on Looking For Wildlife and Tracks And Signs.